Since emui restricts you from downloading apps from the SD cards you need to download apks, downloading apks will store on microSD card. 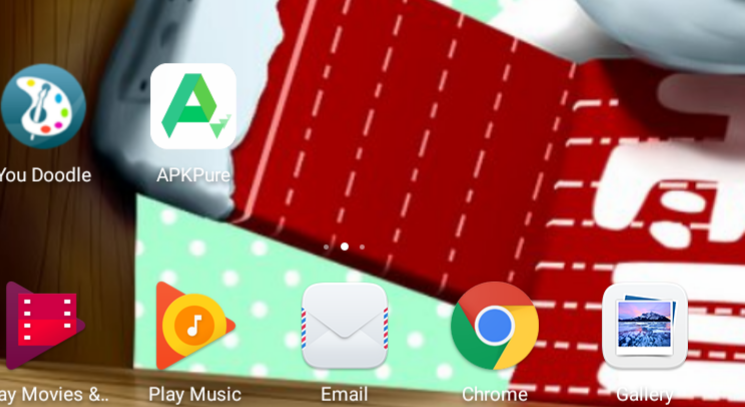 There's a app called apkpure (not available from play store) try searching up "apkpure" then go to the website and then Download the app i tried it and no issues come to my device. Reply if it worked. At least i'll show some proof that the app had no harm to my device. The "Force allow apps on external" is a function placed in Developer options, as it's a function of Android. However, even if the option is not greyed out and it's activated, it still can't be used, as our devices don't allow this function. So I bought a new Samsung microSD card and I put the default location to "SD CARD". The memory card had no issues. And then when I want to download a app from the Google play store it says my storage is full although I have a memory card inserted on my Huawei mediapad T3 8.0. I don't know why is the system using its internal storage? Is there a solution to fix this problem? Please I need to download important apps. The reason for that message is simply the fact that the OS dose not support apps to sd card. As i said above "The "Force allow apps on external" is a function placed in Developer options, as it's a function of Android. However, even if the option is not greyed out and it's activated, it still can't be used, as our devices don't allow this function." What you can move to the sd card is cached data, media files and documents. To free up some space on the device please do a cache wipe and remove some unessential apps. Also move to the sd card and pictures or videos. I found a solution to download apps to my SD card. Thanks for helping, Max. Mediapad t5. Is there any hope that Huawei will enable this function in an update? I just bought mine and installed a few apps, none of them taking up lots of space and there is only 2.8gb left in internal storage! It would be a great help if the facility to use the sd card was available, as it is in the normal version of Oreo (8.0). Hi Benjibenji, thank you for providing an update on this. If I were to download an apk (Netflix as an example), and I want to download a TV series for offline watching, I assume the content I download will also be saved on the SD card? Downloading films on Netflix will save to the SD card since you put the storage location to "SD card". This method didn't work for me, the mediatab uses to store installed programs on the ROM whereas I ve specified sd2 storage in apkpure. I'm sorry to report that. Do we have to root to be able to use SD as an internal storage? you have to convert your SD card to internal storage. If you go to Storage, select your SD card and to settings you will see the option. You have to reboot after it's done and SD card has to be empty before you convert. Haven't tried it yet, but if you use APK pure and download to SD card, then install, it should use card's space too. I will try in the evening with my Huawei T3 pad. I have brought a T3 media pad for my son and AN SD card. How do I transfer photos and films from the internal memory to the SD card? So to transfer photos to the memory card you must move the photos/videos to the SD card. Firstly go to gallery then go to "camera" and next go to "camera (tablet)". Next select all photos/videos (touch and hold). And then tap a icon that looks like a card (move to). Then to move the selected images/videos, touch "camera SD card". And then the content has successfully moved! I hope this helped. Did you read @Benjibenji's reply? Did you manage to transfer your photos and films to the SD card? Hey @Benjibenji any chance you give the steps you're using ? I'm trying it in my mediapad T5 but it's not working, and I am not sure if I'm doing it wrong or no. Just so you know, I've downloaded this APKPure app and it is basically another version of the Google playstore from what I can see. It genuinely didn't seem to make ANY difference to anything on my tablet... I've adjusted every setting that I can get in to and changed all my permissions to try and resolve this. If anyone else has any other idea's or can show me where I went wrong I'm open to suggestions. Well Huawei, this ridiculous, counterintuitive design flaw has cost you this customer - and judging by the forums and social media, many many more. It's the most stupid decision you could have made as a company (short of spying perhaps). One of the main reasons people buy Android devices over Apple is because of the expandable storage, yet you've decided to make that extra storage useless unless the user plans on storing tens of thousands of songs or a few million photos. What on Earth possessed you to make this stupid decision? The tablet I purchased today has been packed up and will go back to the seller tomorrow. You've really shot yourselves in the foot with this. Another iPad for me... Well done. As the owner of a MediaPad T3 10 who cannot store apps on the sd card. I can say this will be the one and only Huawei purchase I make. What a total waste of money. Who buys a tablet to only be able to add a couple of apps to it? I want my money back or an update to fix the issue. How can I recommend something that is not fit for purpose?????? The system takes more than 6g of the 16g just for firmware, you advertise it is expandable by 256g sd card but prevent the transfer of apps to it. This issue needs to be fixed or I am going to every where that it can be reviewed and make it clear this product is useless. There is no point having a good product you don't allow users to use as they choose. I would have been better off buying an unbranded tablet for half the price than going with a name that was supposed to be compation for the likes of Apple. What's the money spinning angle Huawei are going for? Are they going to offer some sort of cloud service we have to pay for so we can use what we've already bought? I want to store apps on my sd card and nothing on any cloud. What do you think? Should we be allowed to choose what we store where? Would you buy the tablet knowing you could only use the expandable memory for pictures, music and files? Unbelievable. Even more restrictive than Samsung. This design decision is just really disrespectful, and it spoils an otherwise good device. I just bought 3 MediaPad M5s and will be packing them up for return tomorrow morning. Count me as another customer you've lost to this. I learnt it the hard way when I bought a 128GB sd card later realizing only some apps could be moved, I do understand that apps that came installed with the tablet cant be moved, but the ones I install later need to able to be moved to the sd card. I have tried several recommended apps with no success, is my only option to root the tablet?